The Picture Book Manifesto said that picture book authors and illustrators “need more robust criticism” and I’m feeling bitchy anyway, so here goes. 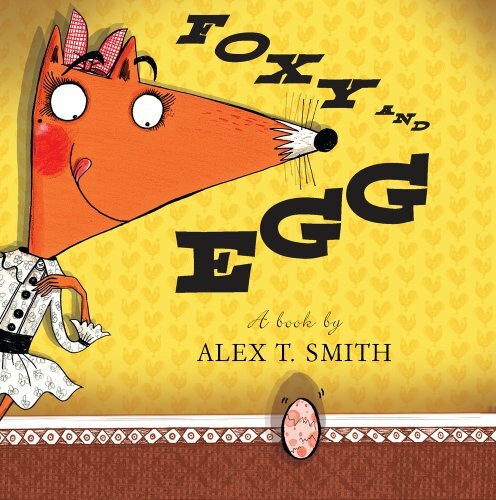 An egg visits Foxy, who hopes to fatten it up to eat the next day but gets a big surprise instead. Okay, it’s an egg visiting. An egg. An egg doesn’t visit or fatten up or play parlor games for exercise. It doesn’t grow huge overnight to crack open as a full-grown crocodile. Because it’s an egg. I’m getting that this is supposed to fall into the realm of the silly, but doesn’t pull it off and just seems like a dumb concept from the start. Maybe the story was supposed to be a takeoff on the crocodile and the hen folktale, which actually makes sense and is done quite well in Mrs. Chicken and the Hungry Crocodile. Honestly, I’m not crazy about the mixed media illustrations either, but it’s the story here that lacks cohesion and loses me at the first premise with that stupid egg. 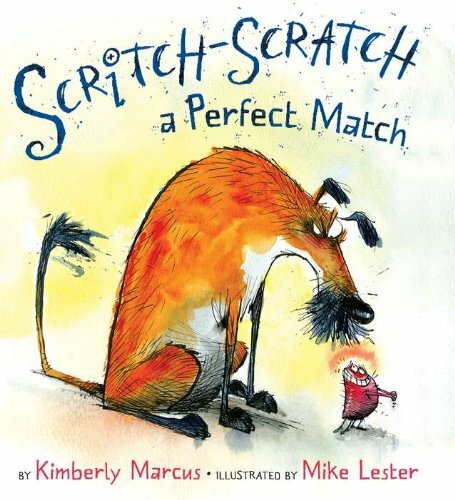 A flea biting a dog sets up a series of events that brings the dog to an owner and an innocent cat to harbor the flea. The story was slight and yet fairly illogical. Why does one flea drive this dog insane? Why does a random person feel the need to take care of this dog that just knocked him in the mud? What did the cat ever do to deserve this? The rhyming verses weren’t great either, as rhyming verses rarely are. But the illustrations seem ill-conceived for a picture book, being, well... ugly, with huge noses, bulgy eyes, and exaggerated expressions. The pen-and-ink outlines are surrounded by unfocused explosions of color in a distracting way that sometimes makes it hard to tell what is pictured. I’ve liked this illustrator in Ninety-Three in My Family, but this title misses the mark. The text might have squeaked through with more charming illustrations, but neither here can save the other. A king with a huge ego pushes a maiden out of the roadway, causing her — as a sorceress in disguise — to put a spell on him to have the size of his head reflect his arrogance. His head grows so big that it catches the wind and blows him away from the kingdom to the feet of the girl, who deflates him with knowledge of his wrongdoing. His instant regret of his actions makes her fall in love with him and marry him. The End. Obvious message? Check. Rote ending? Check. Bad rhyming? Check. And let’s add the image of the king’s head growing grotesquely large as an image that nightmares are based on. I may be alone in my dislike of this title given the Amazon reviews, but again, I like the author/illustrator’s other books — like The Circus Ship — far more. I was really ticked that the maiden married the king, because yeah, that’s how fairy tales end, but this was no fairy tale. Better she become his therapist at an outrageous hourly fee and buy her own manor. Woman power! I really liked Foxy and Egg! I've read it in storytime and the kids thought it was hilarious. You have to read it completely deadpan with pauses in the right spots for the kids to process the insanity of it all...eventually, about half way through, the five year olds will start yelling "but it's an EGG it can't DO that!" Hilarious. 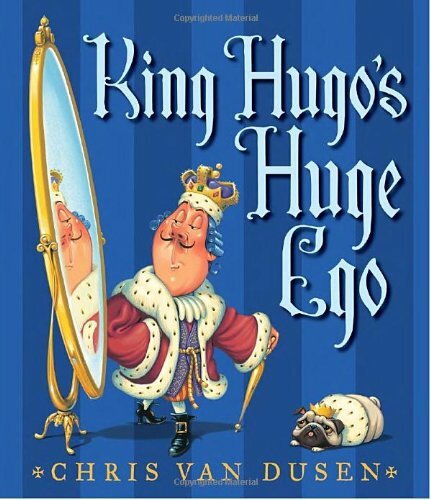 Have to agree with you on King Hugo, I didn't buy it. Lots of our patrons like the Mercy Watson books, but they never ask for the illustrator.